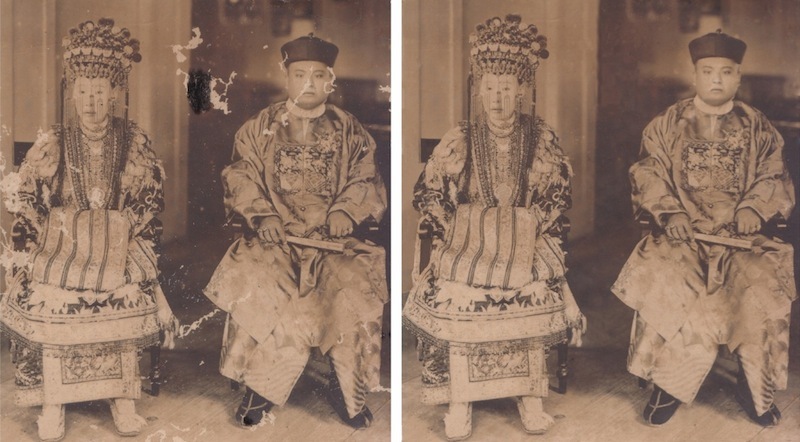 This Peranakan wedding photo has been heavily damaged and there has been an attempt of retouching the damage. The photo was scanned and digitally restored. The originally is now stored in a safe environment and the newly printed image is displayed in the open. The laquered bronze buddha was damaged and the laquer needed consolidating, infilling of missing areas and colour matching of the infills. 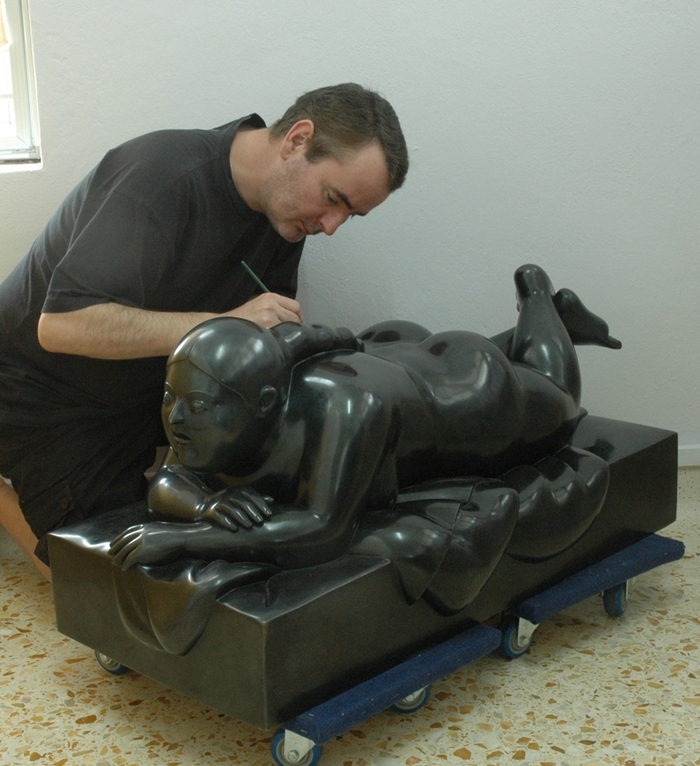 The sculptures beore and after conservation, the treatments are mostly reversible. 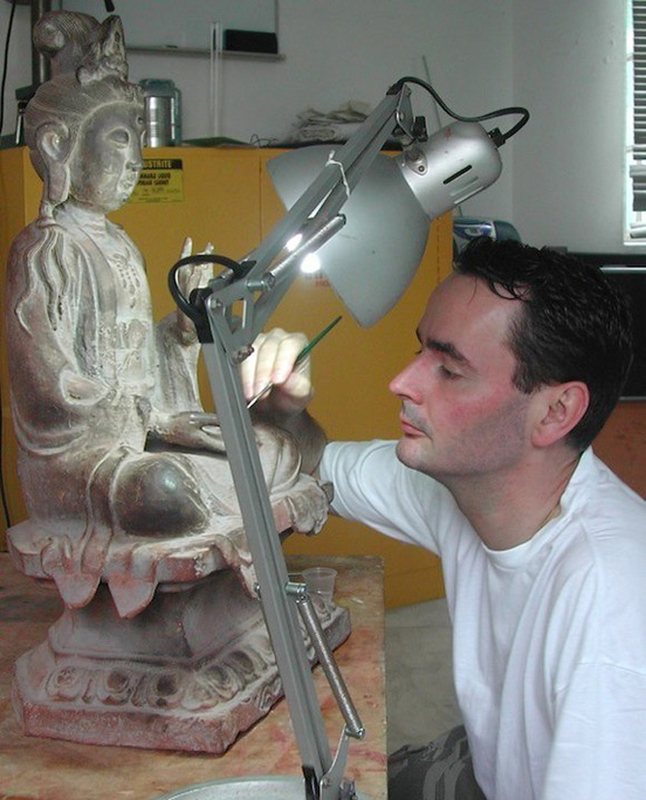 Some of the old restorations were not opened and conserved, since opening old restorations can often cause more damage than warranted by a new conservation treatment.